Health insurance coverage is the first step to healthy kids. Whether through private insurance or a public program, covered kids are more likely to routinely visit a health care provider who can ensure they get the cost-effective, preventive services they need to grow up healthy and strong and the care they need when they are sick or injured. 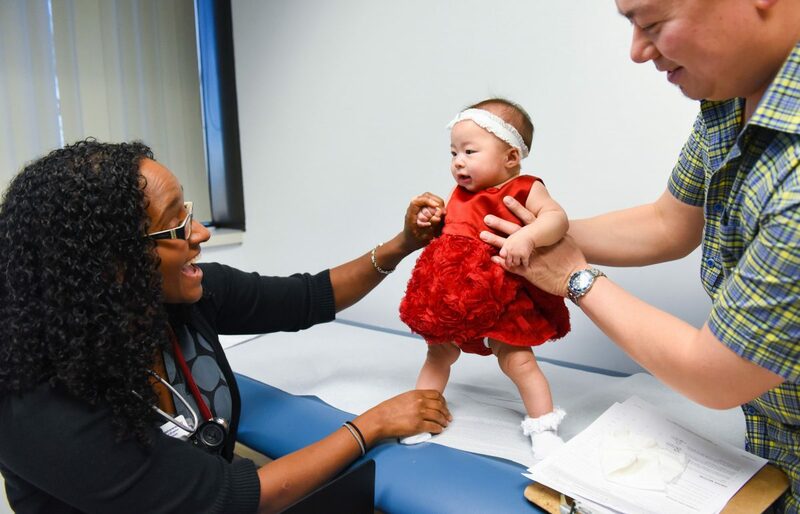 Without child health insurance, these doctors’ visits may pose a financial burden too high for many families to afford. 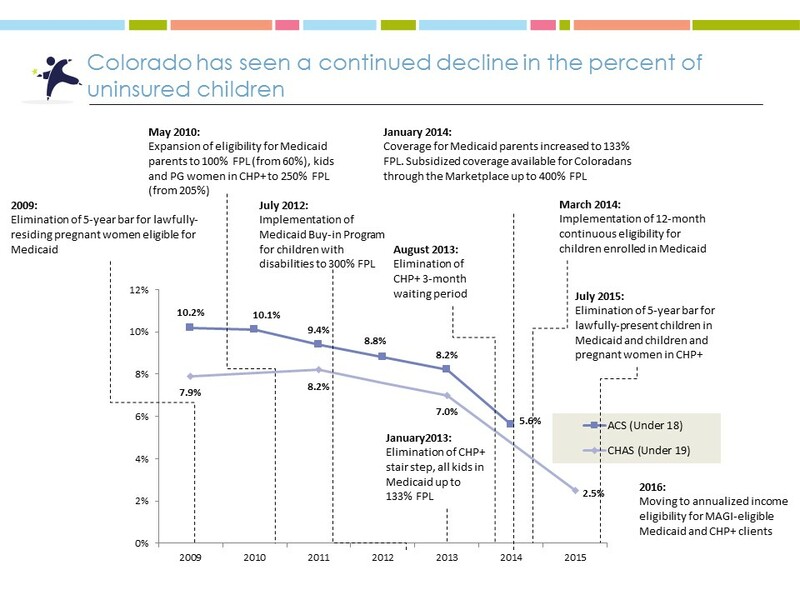 Colorado has made great strides in reducing the number of uninsured children in our state, but there’s still work to do. More than 5 percent of Colorado children (70,000 kids) were uninsured in 2014, and disparities still exist. For example, 9.6 percent Hispanic children in Colorado, the majority of whom are citizens, are uninsured, making them more than twice as likely as their peers to lack access to affordable health care. High premiums in rural resort communities also create barriers to coverage – children in Summit and Eagle Counties are more than three times as likely to be uninsured as the average Colorado child. Senate Bill 15-228, the 2015-16 state budget, provided funding to implement annualized income determinations. The Medicaid and CHP+ programs currently use monthly income to determine eligibility, but some families experience dramatic changes in their income month-to-month. Using annualized income for Medicaid and CHP+ will ensure that seasonal workers can qualify for the right program at application. It will also help to align enrollment standards between the Medicaid and CHP+ programs and subsidized Marketplace coverage. House Bill 14-1336, the 2014-2015 state budget, provided funding to eliminate the 5-year bar for lawfully-present children in Medicaid and children and pregnant women in CHP+. House Bill 1293, “The Colorado Health Care Affordability Act” signed into law in 2009, originally allowed for the removal of the five-year bar, but state funding was insufficient to implement the policy at that time. The 2014-2015 budget provided the funding to implement the program, removing a barrier to care for Colorado families in sensitive periods.